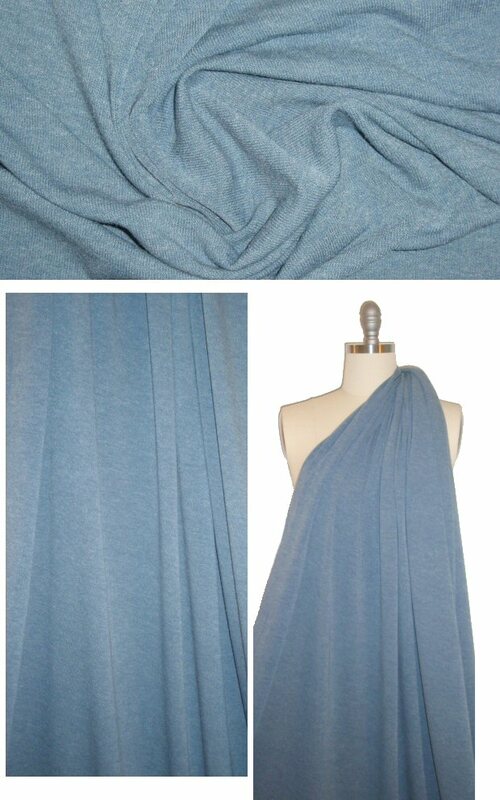 This is a lovely sweater knit in a gorgeous bleached blue coloring (PANTONE 17-4111-ish). The fabric has simple knit stitch construction, it is medium-weight, drapey, tightly knit and soooo soft, with 50% widthwise, 20% lengthwise stretch. Make a fabulous drapey cardigan, pullover, tunic top, sweater dress, shawl, scarf, etc. It is classic, versatile, timeless! Hand wash and lay flat to dry.